Give your children a musical gift that gives them a new form of self-expression. Discover new gifting ideas here. The gift of music is something that will grow into a lifelong love. For all you know, there just might be a budding Mozart or Beethoven out there waiting to be discovered. A musical instrument will not only develop a new skill in kids but also let them have a lot of fun, develop creativity, build confidence and help them focus. 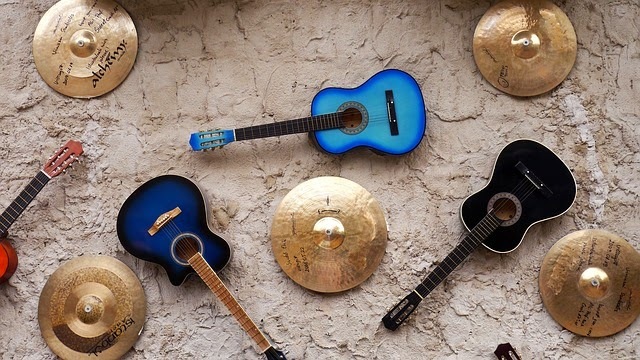 While choosing instruments, go for those that seem fun to kids like acoustic guitars, keyboards, drums, violins and so on. Expose babies and toddlers to musical instruments by gifting them sturdy toy versions.of musical instruments or toys that come with a variety of sounds. Most of them love drums, so a colorful toy drum can keep them occupied for hours. Some of the interesting options that you can look at are musical nursery mobiles, squezee toys that make a sound when you press them and musical mats. Get kids right into the beat by gifting a drum set designed for young players! The set comprises a bass drum, tom drum, snare drum, cymbal, wooden drumsticks and tuning key. A professional guide lets kids to dive into drumming lessons right away. Drum stes come with exciting colours and different combinations. Percussion handbells, Nino bar chimes, tambourines and cymbals are accompaniments that are easy to use and add an extra dimension to the music being played. Keyboards work well for kids aged four and upwards. Start younger kids on a keyboard designed for kids but for older ones, choose professional ones from brands like Casio, Yamaha and so on. There are stunning versions of a grand piano for kids and these would get kids instantly tapping out a tune. Acoustic guitars for beginners come in a range of dazzling colors and even funky motifs. These inspire most kids to start strumming. Kids who have learnt to play the guitar can be gifted the professional versions. Kids will also enjoy musical instruments that are played by the mouth like a harmonica, flute or trumpet. It gives them great scope for musical expression.